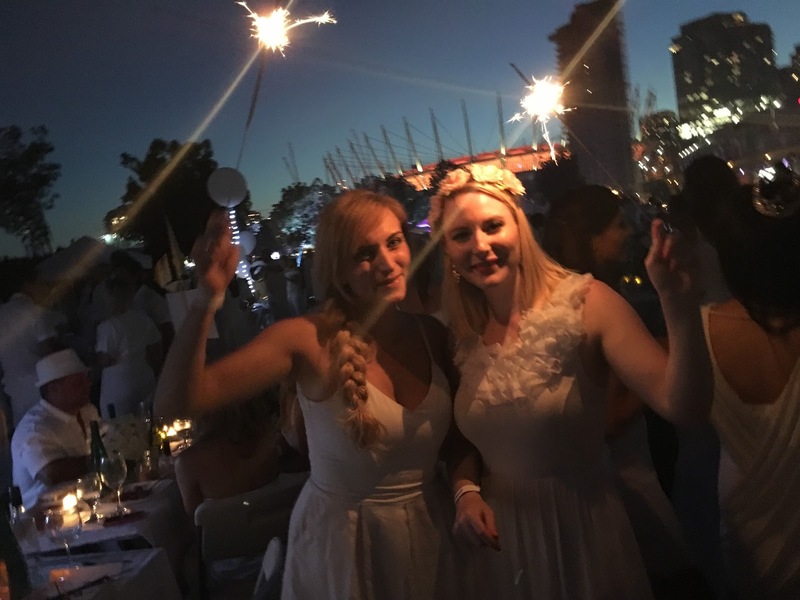 Another Diner en Blanc has come and gone in Vancouver, and it was a magical evening! 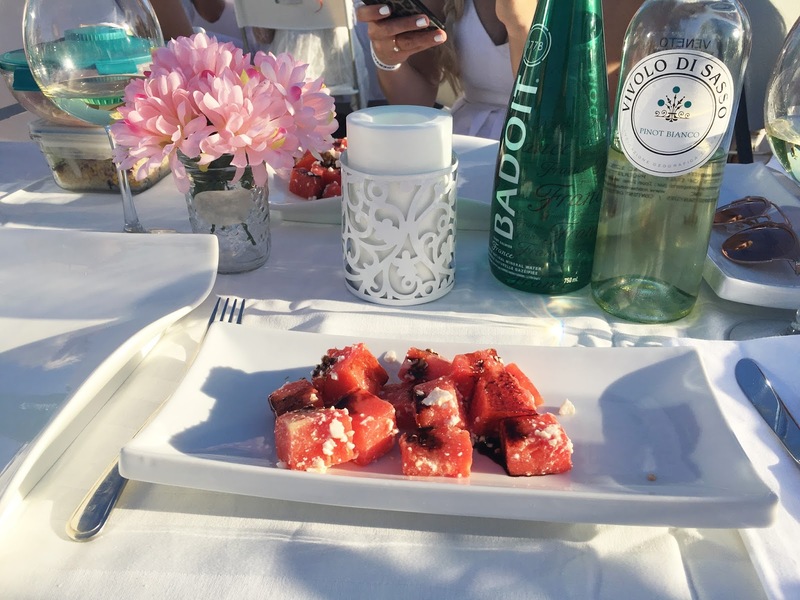 If you aren't sure what this whole Diner en Blanc thing is all about, you can check out my earlier post here, or my post from last year's event, which was my first time attending. 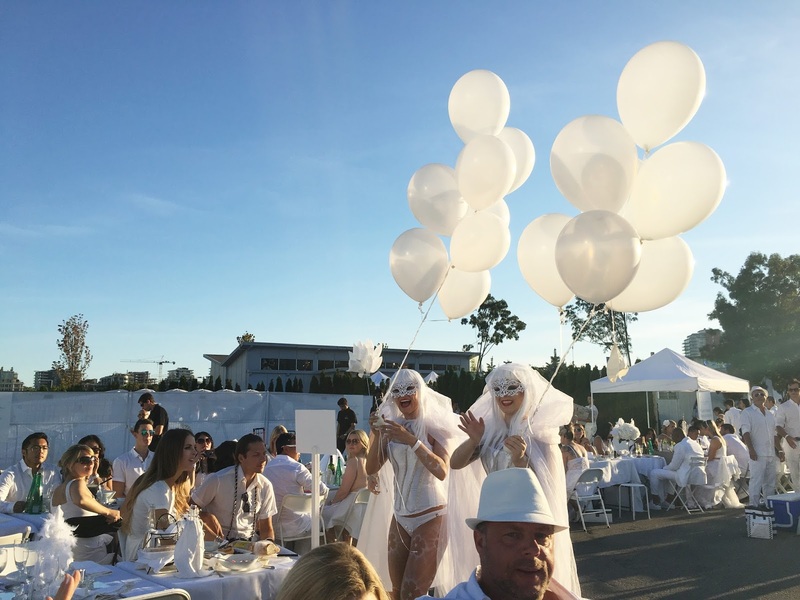 But to give you a very quick rundown, it's a giant al fresco picnic where you dine with thousands of other locals, who bring their entire dining set-up and meal with them, all dressed in white. The venue remains a secret until the very last moment, when your assigned group makes their way to the special spot! The secret venue ended up being a plot of land near Telus World of Science, in the heart of downtown Vancouver. It would have been ideal if we'd been on a piece of land that wasn't basically a parking lot, but to be fair, it's pretty hard to find an open space in Vancouver to seat 6,000 people. Yep you read that right: 6,000 people! 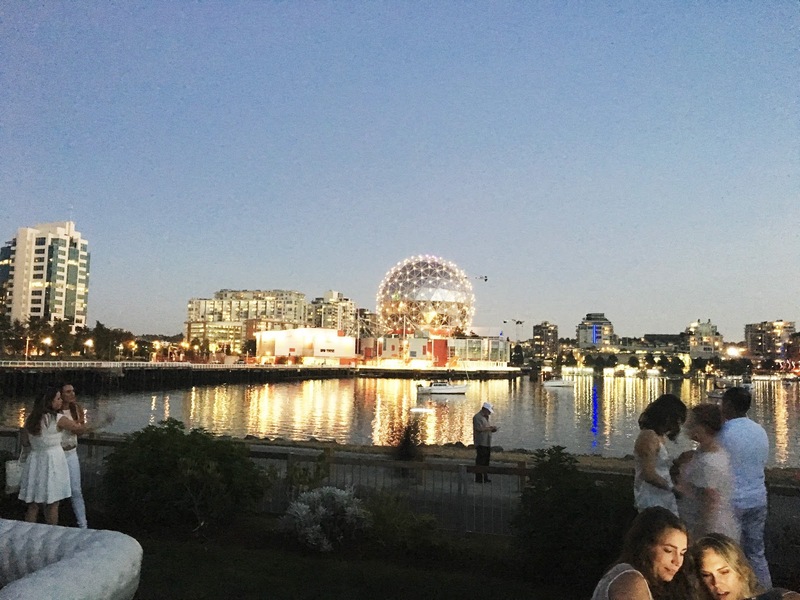 The organizers did a fantastic job of making the most of the space they had, and had stages for music and performers, a lounge area with a view of Science World, a faux-grass area for croquet, and lots more. For my own Diner en Blanc outfit, I ended up making a few adjustments since I posted my 'what to wear' blog post here. To add a bit of colour and fun to the outfit, I added a ethereal floral headband as an accessory. As I said I would, I brought a pair of white heels along to change into once we arrived, but with all the craziness of setting up our tables, and wandering around people watching, I actually ended up wearing my white flats the whole night. Seeing as how I was sitting half the night, and it was dark for the rest, it didn't matter much at all, not wearing my heels! Leeanne of Legallee Blonde joined me as my date, and together we prepared a lovely dinner of watermelon salad, quinoa salad, pesto asparagus pasta, and chocolate mousse for dessert. The bottle of wine didn't hurt, either. It's a good thing every table received a bottle of water too, because we were having a bit of a heat wave in Vancouver last week! We had a wonderful time, eating, drinking and making friends with our tablemates beside us. Then of course, there was a chunk of time after dinner to meander around the venue and do some people watching. Between the beautiful and creative table displays (which people brought and set-up themselves), to the stylish and outlandish outfits (er, costumes), it's quite a sight to be seen! One of my favourite parts of the whole evening though, is when all 6,000 guests light a sparkler - it really is so magical to see them all lit up at once, and makes such a lovely send-off. 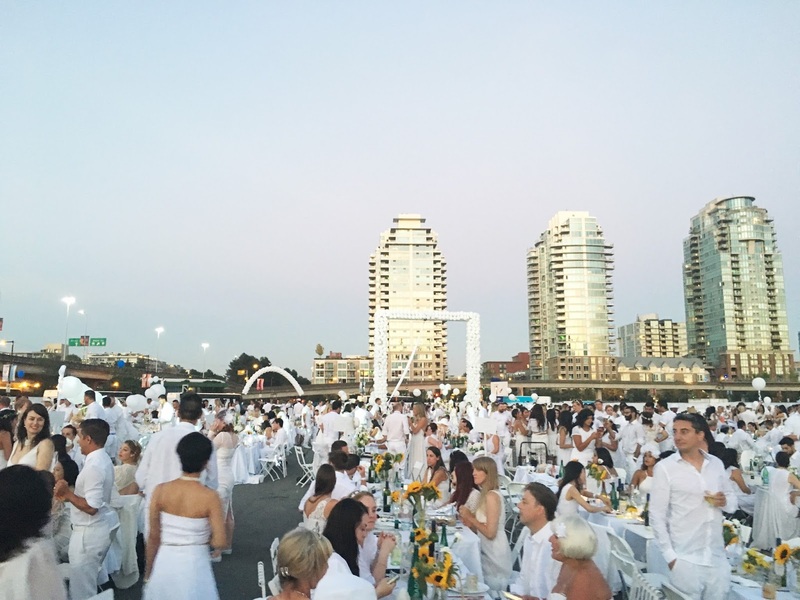 Have you attended a Diner en Blanc event in your city? What was your experience like?